Here's a fact: web design trends at times can overpower single page websites. However, the desire for speed and simplicity is what is driving the one page website trend to grow. The one page websites reflect simplicity and is great to meet user goals in a defined way. But businesses admit that one page won't do when there is so much more to offer in terms of services products and information. One page website is one of the most popular trends that is definitely dominating the web development sector this year. It showcases a trendy and practical way of delivering the most useful content. Multipage websites have been the traditional and established model in the website development world. However, single page websites are making strides since a couple of years and have surpassed this deep-rooted model. This is for a couple of dominating reasons – single page websites are quicker, time-cost efficient and way simpler to design and develop. Though single page websites have become increasingly trendy, BluEnt has tried to analyze its pros and cons to understand its relevance in both small and large business set-ups. On a single page website there is a liner flow of content – not giving an opportunity for the user to miss out on anything. It is considered to be one of the biggest advantages unlike the multi page websites. The latter leaves room for users to jump from one page to another in a haphazard manner. This may lead to information 'vacuum'. Instead, one page websites offer intuitive and seamless user experience. The aim is to offer a great user experience. Today, with most users accessing websites on their mobiles are looking for speed and simplicity. Too many clicks to access information can get annoying. However, on mobiles the scrolling journey offers what exactly what visitors are looking for on a small screen. Developing multipage websites can take months and in order to ensure the pages look complete sometimes more significance is given to quantity. 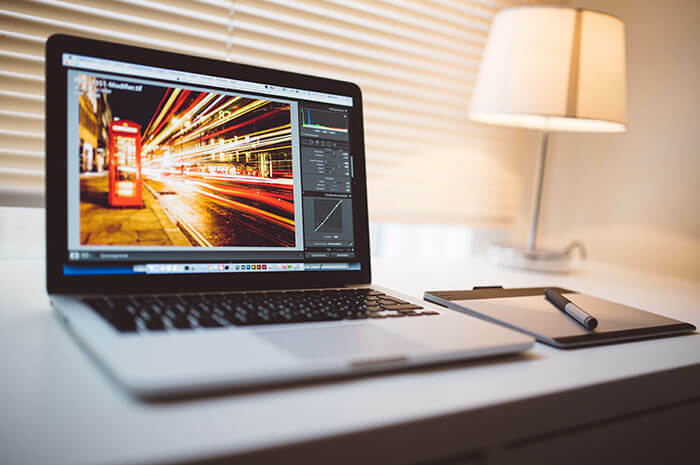 Incase of the page-less websites, the right number of images and useful content is more impactful – ultimately offering a more immersive experience. To make the one page websites interesting and creative the developers often include fancy and flashing images and animations. However, the downside of this is that it can take a longer time for the website to load – making it a very boring experience for the visitors. The fact is single page website runs on a core concept. This leaves little space for the usage of wide range of keywords – a big SEO drawback. In multipage websites, multiple pages allow the business to target variety of keywords. The scrolling journey needs to be creative, active and engaging otherwise visitors can find scrolling to be a pain. Page-less websites can be a risk. A badly designed one will ensure your users leave the website within seconds. It can also leave your visitors confused, especially the ones who are more used to the traditional form of websites. Scrolling format also hampers the 'sharing' functionality, as it will only be restricted to the top of the page. A page-less website is a complete no for blogs – we know why. Content in blog websites are exhaustive. One page won't do. It is also not beneficial for businesses that need to cover a lot more 'important' information. Users need content and no matter what the design looks like – lack of information can leave the visitors dissatisfied and hence lead to a higher bounce rate. Page-less website is great but does come with its set of cons. Ultimately BluEnt needs to understand what your business is looking for. If you are looking at targeting a specific audience and the focus is not so much on SEO then single page websites will do wonders. The aim is to create a great user experience. However, before our expert developers proceed to create a winning website they need a clear understanding of what your business objectives are and what you are trying to achieve through the website in the first place. To take this dialogue forward connect with our core team.